Total Charge - Total balance of the stay - If cancelled up to 10 days before the arrival date on new year and easter. Partial Charge - Partial balance of the stay - If cancelled up to 3 days before the arrival day. - There is a refundable security deposit of 150 € that will be refunded after your check out and can be paid with credit card. - Included is cleaning of the apartment upon departure, free wifi, 10% VAT, bed linen and 2 towels per person upon arrival. - No hens or stag parties allowed. - Excessive noise after 11pm will result in removal of the guests without refund. - Full rental balance is required to be paid in the check-in if not pre-paid. 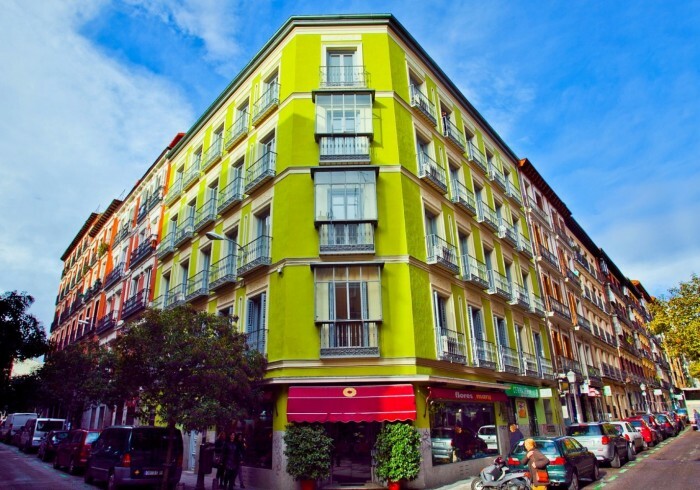 Madrid Central Suites is one of the top rated accommodations in Madrid today, located in the vergence of the trendiest inner city neighbourhoods, Malasaña and Chueca, and is just a short walk from Puerta del Sol, El Retiro, Gran Via and all the major Museums. A collection of spacious apartments in a refurbished Neoclassical historic property located 10 minutes walk from Puerta del Sol and just two metro stops to Puerta del Sol from the nearby metro: Tirbunal. The accommodation is also right between the lively central Madrid district of Malasaña and Chueca and the best of Madrid's nightlife. All the great attractions of Madrid are within a comfortable walking distance through charming old town streets, Puerta del Sol, Plaza Mayor or the Royal Palace.